Matchroom Multi Sport are delighted to announce that Gibraltar will host the all-star World Pool Masters for a further three years. The news follows two successful stagings of pool’s leading invitational event at Victoria Stadium in Gibraltar. In 2017 David Alcaide was crowned champion and earlier this month Dutchman Niels Feijen fought off one of the toughest Masters fields ever to claim the title for a second time. Dates for the 2019 World Pool Masters will be announced in due course, with Victoria Stadium to once again host 16 of the world’s best players. Matchroom Sport chairman Barry Hearn said: “We are thrilled that the World Pool Masters will stay in Gibraltar until at least 2021 and I’d like to thank the Ministry of Culture, the Media, Youth and Sport and the people of Gibraltar for their continued support of this great event. “The World Pool Masters is one of 9-ball’s biggest tournaments and you could see on Sunday evening how much it meant to Niels Feijen to lift the trophy, just as it had done for David last year. Steven Linares, Minister of Culture, the Media, Youth and Sport said: “It’s great to see that Matchroom Sport has confidence in us to host the World Pool Masters for the next three years. This shows that we can deliver on hosting World Class events such as this one. 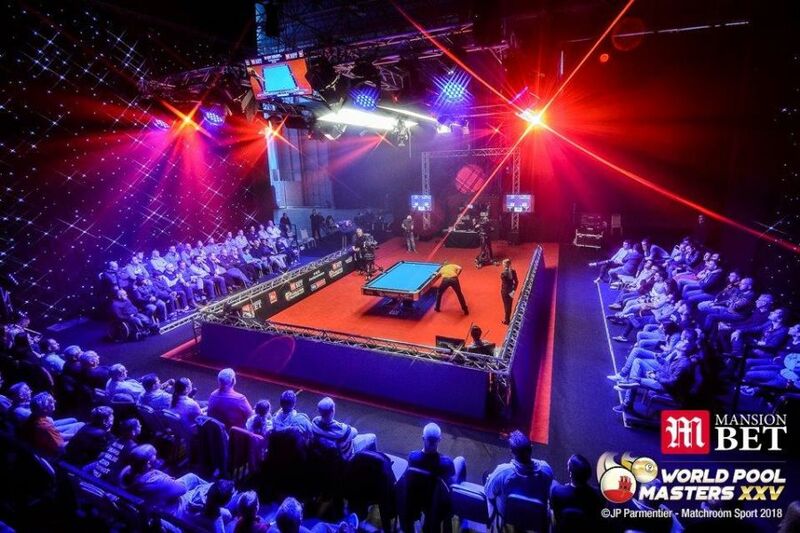 Dates and ticketing details for the 2019 World Pool Masters will be announced in due course. The World Pool Masters is sponsored by Rasson Billiards who supplies the Official Table; the cloth is supplied by Iwan Simonis and the Official Balls are Super Aramith by Saluc. Predator is the Official Cue of the event and Ultimate Team Gear provide all World Pool Masters apparel.